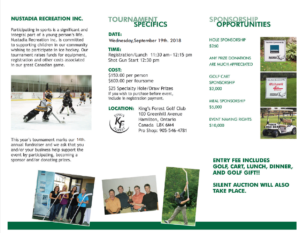 Hamilton Sports Hall of Fame – Coming soon! (March 11, 2019 – By Scott Radley, The Spectator) TORONTO — Thirty-three years ago, she was an excellent young point guard at the University of Toronto with a 1980s Pat Benatar hairdo and a national championship gold medal hanging around her neck. Back then, you figured if she went into coaching and became half as good on the bench as she was a player, she’d have a half dozen more medals before long. Twenty-six years ago she arrived at McMaster as head coach. 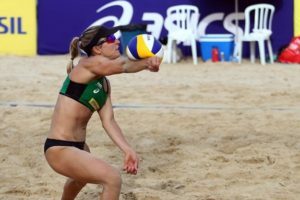 Since then, Theresa Burns’ teams have won five Ontario titles, have produced numerous all-star players and have consistently been in the Canadian top-10 rankings. Yet somehow, she’d never been able to earn that second national gold medal. On Sunday night, that changed. 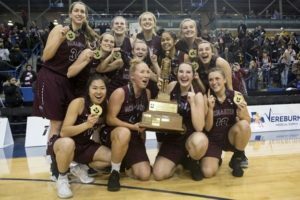 In an incredible game played at Mach Speed 10, she and her Marauders beat Laval 70-58 to claim the school’s first title. 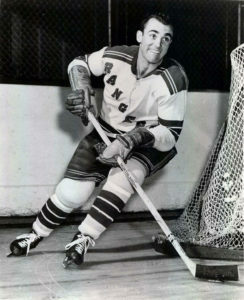 (March 10, 2019) NHL legend and Hamilton Sports Hall of Fame inaugural inductee Harry Howell has passed away, as announced by the New York Rangers. This is a very sad day for everyone connected with the Hamilton Sports Hall of Fame. “When we created the HSHOF in 2010, Harry Howell was not only in our inaugural class he was probably the first name we discussed”, said HSHOF Chair Garry McKay. “Harry was not only one of the best defencemen to ever play the game he was a great ambassador for the City of Hamilton and for our HSHOF. “He was a true gentleman in every sense of the word and he will be missed”. Harry played defence for the Rangers from 1952-1969. He would play 5 more seasons in the NHL with Oakland Seals (1969-70) California Golden Seals (1970-71) and he concluded his career with two-and-a-half seasons with the Los Angeles Kings. Harry named a First Team All-Star in 1967, and played in All-Star Games in 1954, 1963, 1964, 1965, 1967, 1968 and 1970. When he left the NHL, Howell had played more games as a defenceman than anyone else, and remains sixth in all time games played as a defenceman. He also holds the record for most games played for New York Rangers: 1160. Harry Howell was 86. Visitation will be held at Bay Gardens Funeral Home , 947 Rymal Road East, Hamilton on Friday, March 22, 2019 from 2-4 p.m. and 6-8 p.m. A Celebration of Harry’s Life will be held in the ‘William J. Markey Chapel,’ Bay Gardens Funeral Home, Hamilton on Saturday, March 23, 2019 at 1 p.m. A private family interment will be held at a later date. In lieu of flowers, the family would appreciate a donation to the Hamilton Bulldogs Foundation Harry Howell Scholarship, bulldogsfoundation.com. In all the years the Golden Horseshoe Athlete of the Year has been handed out, none of the winners have ever shown up to collect the big prize just two days after being under general anesthetic for surgery. That we know of, anyway. When Mark Jankowski steps on the ice in Calgary on Saturday night, it’ll be the 20,000th NHL game played by a Hamiltonian. 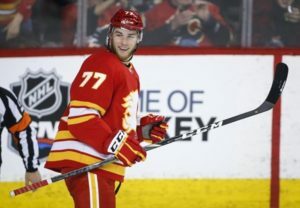 When Mark Jankowski of the Calgary Flames skates out onto the ice on Saturday night for the second half of the Hockey Night in Canada doubleheader, he’ll almost certainly be creating something a little magical. It’ll be Game No. 20,000 for Hamilton-born NHL players. It’s a moment to celebrate in a long-developing story that goes back to the turn of the century. The last century. 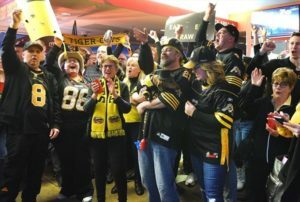 (Hamilton – Feb. 21, 2019) – The Canadian Football League announced Thursday the 109th Grey Cup is coming to Hamilton and Tim Hortons Field in 2021. The announcement saw the CFL award Grey Cup festivals to two winning bids (Saskatchewan in 2020 and Hamilton in 2021). (Hamilton – Feb. 18, 2019) The local sports community is mourning the recent passing of Marilyn Howell. She was the beloved wife of hockey legend and Hamilton Sports Hall of Fame inductee Harry Howell (inaugural Class of 2010) for 64 years. 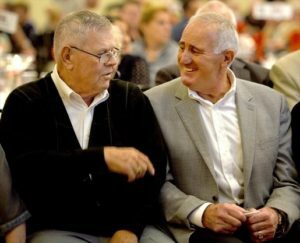 (Hamilton – Feb. 10, 2019) Hamilton has lost another legendary high school football coach. John McPhee — who helmed a golden era for football at Cathedral High School in the 1960s — died Jan. 18 at the age of 90 in Ancaster. His death follows two other legendary high school coaches in 2018 — George Knill in August at the age of 79, and Dennis (Griff) Griffin at the age of 76 in November. (Hamilton – Jan. 22, 2019) Mohawk College Hall of Fame women’s basketball coach Earl Begg has passed away. Mr. Begg holds the Mohawk record for most wins with 316 in his brilliant career. His teams won six OCAA Championships in 1981, 1983, 1986, 1987, 1990 and 1991. His teams also captured two national bronze medals in 1986 and 1990. Mr. Begg was named OCAA Coach of the Year in 1987, 1990 and 1991, and was honored by the CCAA as National coach of the Year. He is a member of the Mohawk Mountaineers, OCAA and Ontario Basketball Association Halls of Fame. 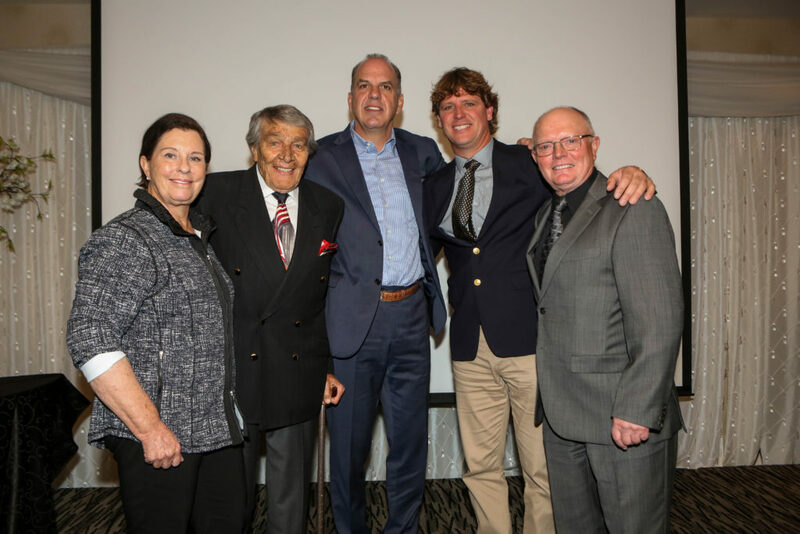 Retired Mohawk Manager of Athletics, Laurie Cahill, paid tribute to the Hall of Fame Coach: “In the history of our College absolutely no one in athletics has brought greater recognition to their sport and our female student-athletes than Earl Begg. The fact that he has been acknowledged by Mohawk College, OCAA and Basketball Ontario, for his contributions to women’s basketball is legendary. But his greatest legacy is his commitment, sacrifice and service to literally thousands of young women, who Earl encouraged, motivated and mentored through basketball to succeed on and off the court. (Humboldt, SK – Jan.1, 2019) Humboldt Broncos Interim Head Coach Scott Barney has announced Hamilton native Troy Smith as the team’s Assistant Coach for the remainder of the 2018-19 season. Smith, most recently was the Head Coach of the Saginaw Spirit in the Ontario Hockey League. Previously, Smith was the Associate Coach and Assistant General Manager of the Hamilton Bulldogs (OHL) from 2015-2017. Smith started his coaching career spending nine years with the Kitchener Rangers; two as Head Coach and seven years as an Assistant, winning the OHL Championship in 2008 under San Jose Sharks Coach Peter DeBoer. (Dec. 27, 2018) Ron Foxcroft is so obviously cut from Order of Canada cloth that many of us just assumed he was already wearing its clothes. Well, he is now. The 73-year-old Burlington resident and Hamilton-based businessman will be formally invested as a member in the prestigious national order at Ottawa’s Rideau Hall some time next summer. But he has already received his commemorative pin, and the office of Governor General Julie Payette released the official announcement Thursday morning. (Dec. 18, 2018 – By Scott Radley, The Spectator) Back in 2013, the head coach of McMaster’s men’s cross-country team felt pretty good when the final results from the nationals flashed up on the scoreboard and the Marauders were fourth. They’d been sixth in her first two years on the job, so this was a step in the right direction. Paula Schnurr was happy the next year, too, when they finished fourth again. But when they landed in the four-spot for a third-straight time, the close-but-no-cigar buzz was suddenly getting very old, very fast. So when they finally broke through in 2016 and finished third, she was ecstatic. 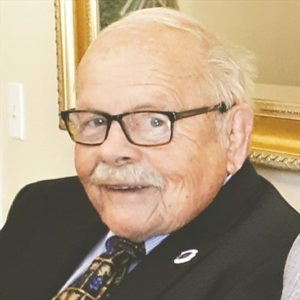 (Nov. 19, 2018) With profound sadness the family of Dennis Griffin announced his sudden passing on Wednesday, November 14, 2018 in his 77th year. He is survived by his wife, best friend and soul mate Bonnie of 53 years. 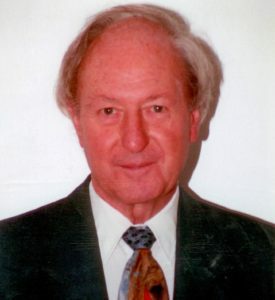 Dennis was a teacher with the HWDSB for 34 years. He had a profound love for football and coached at all levels, minor to professional, in the Hamilton area for over 5 decades. Coach Griff has impacted many lives and will be missed. A Celebration of Dennis’ Life will be held in the Chapel on Wednesday, November 21, 2018 at 11 a.m.
(Nov. 9, 2018 by Scott Radley, The Spectator) It was back in 1992 that the Kenesky name skated off NHL ice for the last time. 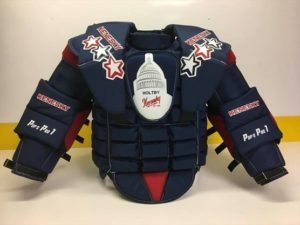 Once the brand of pads that pretty much every big league goalie wore, the Hamilton hockey factory hadn’t really kept up with the times as styles, materials and designs changed. So when Ron Hextall, Allan Bester and Brian Hayward moved on to different makes after that season, the most famous name in goalie equipment was essentially rendered obsolete. (Nov. 1, 2018 – The Spectator) A tragic car accident has taken the life of a great football leader, whose presence in the sport over the decades was felt not only in Hamilton and more widely in Ontario, but also on a national scale. 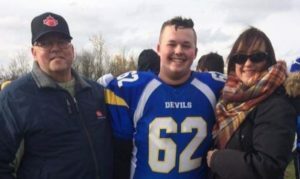 Don Edwards, 59, was killed Wednesday in a three-car collision on Highway 6 south of Hagersville that also resulted in the death of his son, Spencer, 18. (Oct. 10, 2018 – By Scott Radley, The Spectator) It was during a training camp early in his career that his knee exploded. Ripped the ligament right off the bone. The kind of injury that hurts just to read about it. Actually doing it? Don’t ask. But with no signed contract and a pregnant wife at home, missing a whole season and the paycheques that came with it wasn’t an option. So just a few weeks after his cast was removed, Peter Dalla Riva gritted his teeth and got himself back on the field for the Montreal Alouettes. Tough? The man’s synapses are clearly made of saddle leather and his psyche, of iron. Even so, there he was on Wednesday afternoon, softly dabbing at his eyes again and again as a video of his life played during his induction to the Hamilton Sports Hall of Fame. (Aug. 22, 2018) The Hamilton Sports Hall of Fame board sends condolences to the family and friends of George Knill, who passed away Tuesday in his 80th year. George was a well known coach from the Hamilton area schools and minor football community. 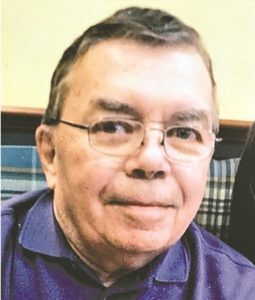 George was an esteemed graduate of Royal Military College of Canada in Kingston and a beloved math teacher for the Hamilton-Wentworth District School Board. 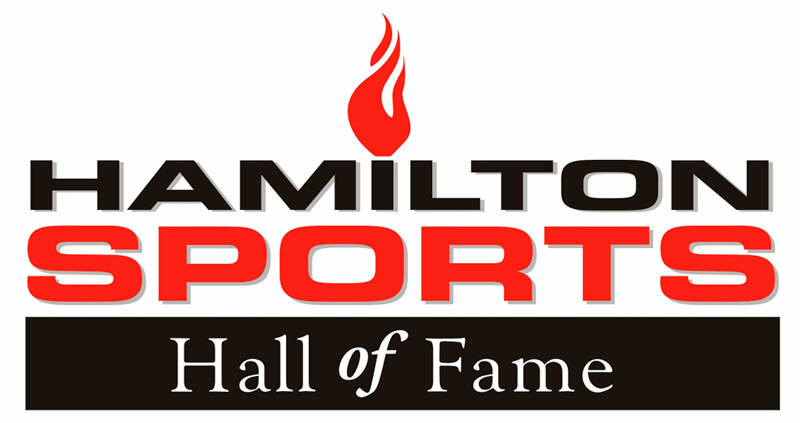 (Aug. 17, 2018) The Hamilton Sports Hall of Fame will hold its 9th annual induction ceremony Wed., Oct. 10 at Michelangelo Events and Conference Centre. This year’s class includes Don Sutherin and Peter Dalla Riva (football), Murray Oliver (hockey), M.M. Robinson (builder, British Empire Games) and the 1965 Stoney Creek little league baseball team. 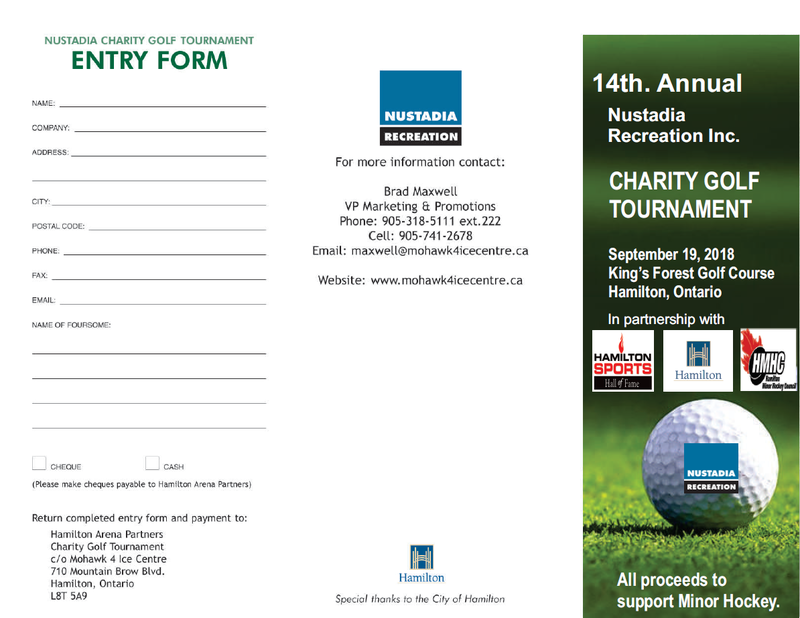 Tickets are $35 each and will be available at Hutch’s on the Beach and United Trophy in Hamilton, and R&R Trophies & Awards in Burlington. 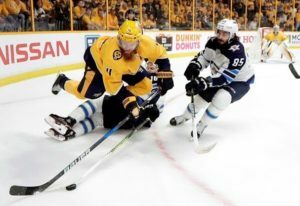 (Aug. 14, 2018 – The Canadian Press) Nashville Predators defenceman Ryan Ellis has signed an eight-year deal worth $50 million that keeps under contract through the 2026-27 season. The 27-year-old Freelton native will earn $6.25 million annually starting in 2019-20. He has one year remaining on the five-year, $12.5 million contract he signed on Oct. 5, 2014. (Aug. 12, 2018 – Scott Radley, The Hamilton Spectator) The magnitude of the moment didn’t really register with him, even as he rounded first base and saw the ball gloriously disappear over the Bernie Arbour Stadium fence. Down two runs in the bottom of the ninth inning of a playoff game at home on Sunday afternoon with two runners on base, he’d just clubbed a series-winning homer for a team that simply doesn’t win playoff series. Not for 15 straight seasons, anyway. 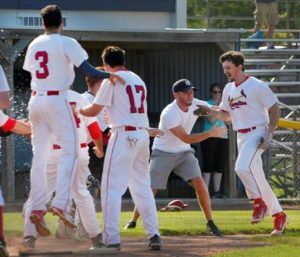 “It didn’t really hit me until I was rounding third and saw my teammates,” says Hamilton Cardinals designated hitter Connor Bowie. What he saw was pure joy. 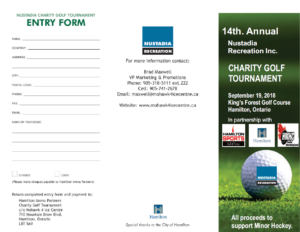 The date has been set for the 2018 Nustadia golf tournament, supporting minor hockey. 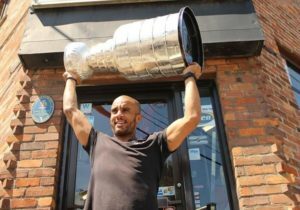 (July 15, 2018) Former NHL goalie Ray Emery has died during an early-morning swim at the dock where his friend’s boat was moored at the Royal Hamilton Yacht Club. Police confirmed the body found by divers at 2:50 p.m. on Sunday in Hamilton Harbour is the 35-year-old Stanley Cup-winning goaltender originally from Cayuga. (Left to right) Cindy Neale Ishoy, Charles Juravinski, Ric Nattress, Jeremy Kovak, Don Knight — 2017 HSHOF inductees. Photo by Shelly Cameron. The Hamilton Sports Hall of Fame will induct the Class of 2017 at a special luncheon, Tuesday, October 17 at 12 noon at the Best Western Premier C Hotel by Carmen’s, 1530 Stone Church Rd. E. in Hamilton.